Burger joints are moving away from build-your-own to wild-creations menus. Here are some of the most noteworthy. How many more burger joints can there be? The question is continually asked and just as quickly answered by another opening. As in the past, I intended the "best new" list to be a year-end report. But the first half of 2013 saw so many noteworthy openings that it's best to line them up now and then later scrutinize the best of the year's second half, which promises to include the opening of Mario Batali and Joe Bastianich's B&B Burger & Beer at The Venetian in Las Vegas, plus other high-profile debuts. I use the word "noteworthy" purposefully because that is the definition of "top" for this list. These aren't the 30 "best." I don't pretend to have visited and them all. Rather, each (such as Juicy Lucy, whose burger is shown below) is highlighted for in some way exemplifying the state of the burger business. And the burger business is popular enough that one of the most interesting new concepts of the year wasn't real. LA Weekly reported on the opening of Golgugi, a burger restaurant that "has discovered a sixth gustatory taste called Golgugi." Owner Trevor Mikel described it as "the sensation when the tongue feels fizzy with a hearty twinge." The April Fools joke was clever enough to cause at least one blogger to add Golgugi to his list of hot new concepts. But only briefly. Really. In addition to welcoming many new concepts, the first half of the year saw several established burger brands open second locations. These include Boston Burger Co., Boston; Burger Joint in New York City; Chicago's Butcher & the Burger (second opened in Boca Raton, Fla.); Kuma's Corner in Chicago; Rounds Premium Burgers, Los Angeles, and more. Among those planning to open second locations in the summer and fall are Burger Republic, Nashville; Tasty Burger, Boston; Trueburger, Oakland, Calif.; and Worthy Burger, South Royalton, Vt. How many burger joints can there be, you ask? 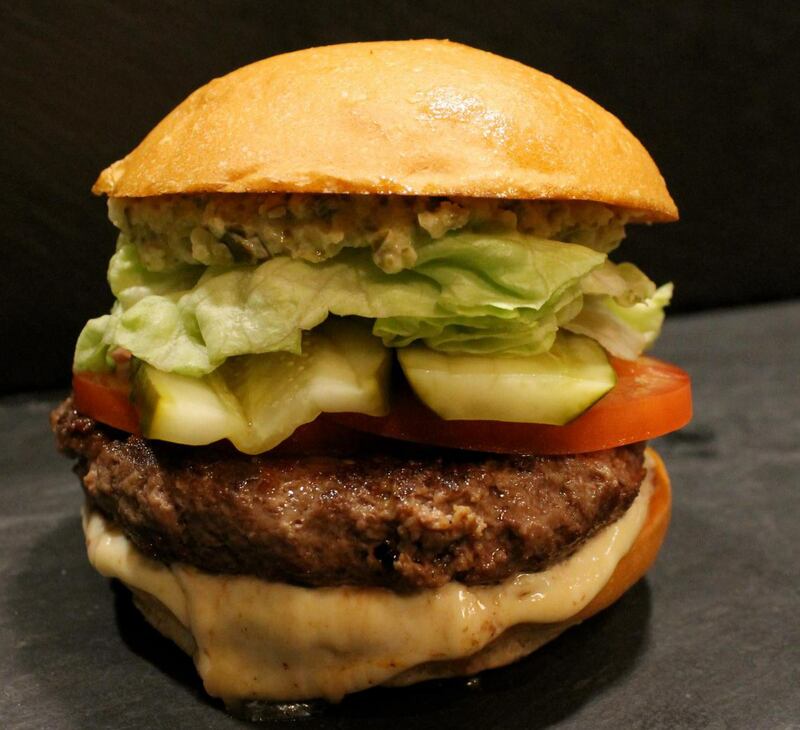 Which brings us to the "Top 30 New Burger Joints of 2013's First Half." Several of them show that the second word in "burger bar" has gained ascendance. Craft beers and burgers have become great pals, at least where zoning and liquor laws allow. These new concepts also continue the trend to de-emphasize build-your-own burgers in favor of enjoy-these-wild-creations menus. Global flavors and ingredients are emerging. Local sourcing is becoming the norm. Non-meat alternatives are becoming more sophisticated and daring. Enjoy the holiday. When you want some fun reading, click here to access the full Top 30 New Burger Joints of the First Half report.